Designer Black Security Sweatshirt is made with soft 100% Cotton Fabric and Features Silver Nailhead.. So cute for your patriotic doggy! Available in many colors and sizes. ..
Beautiful & Soft! This super lightweight and soft pullover hoodie is made of stretch cotton with fur.. Simple yet sophisticated, this Dapper Vest Tee has a classic cut with a traditional bow tie and gene.. 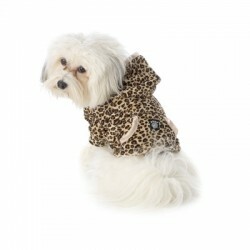 Your little fur baby is sure to make friends in this oh-so soft velvet velour Girly Hoodie! Adorned ..
What a precious, super lightweight and soft pullover hoodie. It is made of stretch cotton with fur t.. This gray polo shirt for dogs is great for casual or a little dressed up. These polos are mach.. This oh-so soft Hollywood Hoodie knows a thing or two about celebrity style. With its elegant design.. This dog sweatshirt is perfect for cold weather days. Your little one can tell everyone that it's a.. Cute orange cotton lycra dog tee showing a bone with a bite out of it. Great for casual days. .. This red sleeveles shirt for dogs offers a slight stretch for a great fit. The super soft cott..